Wicker Chairs | Browse Our Collection of Chairs and Rockers! View our extensive selection of wicker chairs and rockers! 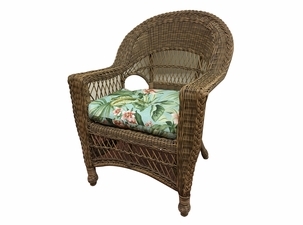 Small scaled wicker chairs for your porch, Large, comfy chairs to go with your sunroom furniture, and even an outdoor wicker rocker chair for all weather conditions. 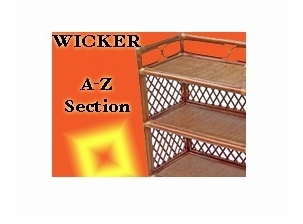 Wicker rockers are a staple in design for home decor. Both traditional and contemporary environments welcome the rocking chair to bring comfort, relaxation for your guests and the ones you love most! Tightly woven wicker designs are perfect choices for chairs and compliment the fabrics you wish to use on your furniture. 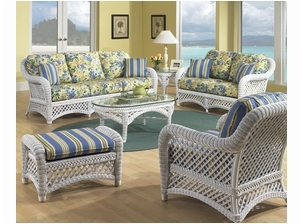 Create a polished look by adding our wicker chairs to your porch, deck, or any other living area. Both your friends and family will love relaxing in your new wicker rocker chair. We offer a plethora of styles and designs to choose from and do not exclude the modern or classic designs you may be looking for. Of course, our selection also includes more versatile pieces such as chaise lounges, bistro style chairs, gliders and swivel stools. Our extensive selection of the finest wicker chairs and rockers can bring a whole new atmosphere, style, or energy to your home. From large comfy and inviting chairs perfect for your sunroom, to fantastic and weatherproof outdoor wicker chairs, we have the styles that your heart desires. No matter if your home is dressed to the nines in modern architecture or if it is enveloped by traditional style, our rocking chairs provide comfort and relaxation to both you and your guests. Beautifully crafted and intricately interwoven, our modern wicker patio furniture brings a style all its own. Add wicker chairs to your porch, patio, deck or any other outdoor living area and invite friends and family to sit and enjoy a casual visit. 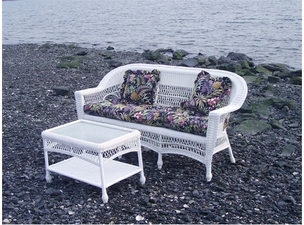 Wicker Paradise carries an endless selection of wicker chairs and rockers including both modern and classic designs. In addition to chairs and rockers, we carry deep-seating wicker recliners, chaise lounges, dining chairs, bistro-style chairs, barstools, swivel stools and gliders. 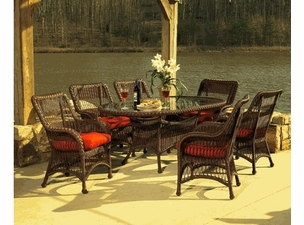 We are proud to carry high-quality wicker designed to withstand the harshest outdoor conditions. Place these chairs in any outdoor living space and forget about rust, mold or mildew. All of our chairs and rockers feature outdoor-resistant fabric. 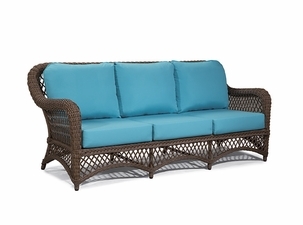 Place an elegant wicker chaise lounge in the sunroom for relaxing, reading or taking a nap. 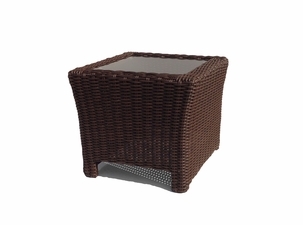 Or, purchase a few rockers for the patio or deck to encourage after dinner conversation. Whether you're searching for a wicker rocker or a dining chair, you will find it here at affordable prices. Whether you're adding to your current collection or creating a unique set that is all your own, we are sure you will find a chair or rocker to match your desired décor. 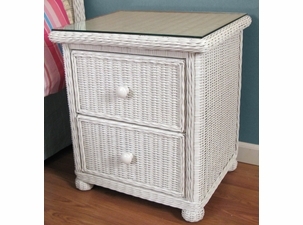 In fact, we carry wicker rattan furniture to suit every type of decorating style, including island, cottage, Farmhouse, Cape Cod, Lane Venture and Harbor. I want to thank Wicker Paradise for a very professional and timely experience with an internet order. Your support, ease of access, quick response, accurate ordering process, and reasonable price structure are unsurpassed by even the largest of internet operators. I chose to purchase based on the ability to talk to an individual and the very competitive price for the beautiful wicker rocking chair. I found out almost immediately that a family owned and run business is the way to go. First, you chose to ship the Chair and the Cushions separately to ensure delivery before Christmas. It worked perfectly: cushions came a week ahead of the wicker chair, but clearly would not have arrived in time if you had to wait on the factory to ship together. Then when the chair arrived with some damage that was hidden and clearly done at the factory, you took the lead in addressing replacement by the factory. The replacement came in perfect condition and the same day you issued a call tag for FEDEX return of the old item. When FEDEX was slow in pickup, you called directly to the local terminal, multiple times, to ensure pickup. Finally, you called me directly to let me know the wicker chair had been picked up. Wow... that is personal service! Thanks again to Elana and all the family at Wicker Paradise for a very professional experience. We just love the wicker chair! It looks great in the Florida sun.